Chief Justice Harry L. Carrico and Chief Justice Leroy R. Hassell, Sr. Published June 3, 2016 at 2000 × 1712 in Chief Justice Harry L. Carrico and Chief Justice Leroy R. Hassell, Sr.. 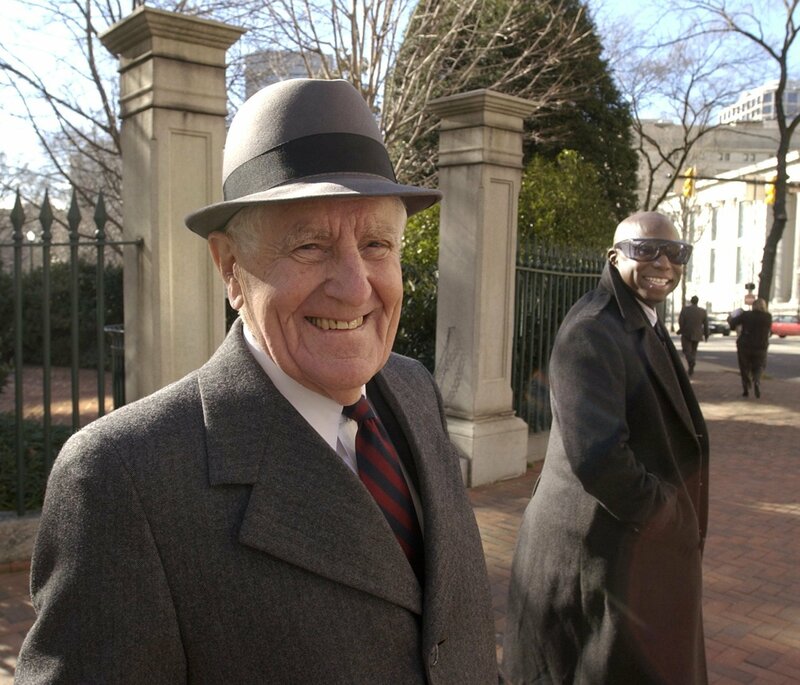 Outgoing Chief Justice of the Virginia Supreme Court Harry L. Carrico (left) and incoming Chief Justice Leroy R. Hassell, Sr. (right) were spotted walking past the grounds of the State Capitol on the way to work, January 13, 2003. Coutesy of the Richmond Times-Dispatch.